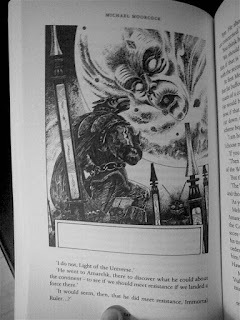 The History of the Runestaff by Micheal Moorcock contains four novels The Jewel In The Skull, The Mad God's Amulet, The Sword Of The Dawn, and The Runestaff. I found reading though the books a bit of a slog, not that Moorcocks writing is challenging or the ideas were particularly less interesting than his other works, but the protagonist Dorian Hawkmoon of Koln is somewhat dull. Unlike the tortured, disfigured and somewhat reluctant incarnations of the Eternal Champion - Elric of Melniboné and Corum Jhaelen Irse, Hawkmoon is hero cast in the more traditional mould of Swords & Sorcery hero - a natural leader, a military man, determined, proud and valiant. 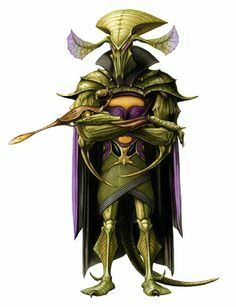 While he is as much a pawn of higher powers beyond his comprehension as the others, he takes his fate with aplomb - he's also more human, rather than the elvish Vadhagh or Melnibonéan. Then there's Hawkmoons world, which for all intents and puropses is a post-post-apocalyptic Earth, with clear references to real world place names, and people - notably figures from the pre-catastrophy 1960s such as The Beatles and Harold Wilson. These references are just an incidental gloss rather than being used for amusing the or satirical effect. I found it slightly grating and lacking the spark of sardonic wit and psychedelic verve that accompanies Moorcocks other stories, but then I've never liked The Beatles. Maybe living in a post-truth, post-brexit, economically and culturally insecure Britain of the 21st century, the idea of the island of Granbretan (Great Britain) invading and unifying mainland Europe by force with legions of animal masked warriors fails to resonate all that much. Yet. Moorcocks reflects on the writing of Hawkmoon in an article at tor.com - British nationalism and anti-German sentiment of the Britain in the 1960s (especially from the editors of pulp fiction and war comics he was writing for) and Hawkmoon as a construction of a German saving a small French dominion (and then subsequently the entire world) from an evil British Empire, being a direct overturning of the conservative values and an intentionally countercultural move. Some attitudes may have changed since then, but it doesn't feel revolutionary, small minded nationalism is still the province of the hysterical far-right rather than an ingrained status-quo. 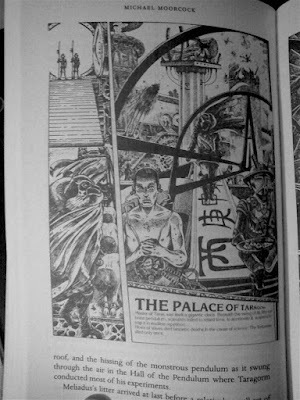 There certainly are high-points of effective prose - pirate cultists carrying out a grisley ritual, and Hawkmoons summoning a legion of undead legion of southern barbarians using his Sword of the Dawn is evoked with a deftness and weirdness that is striking. Other encounters with the weird, such as the ghostly elfin inhabitants of ancient cities aren't quite as successful, and seem a little out of place in an otherwise earth-bound fantasy sequence. The walls of the multiverse grow thin and stranger things step across the dimensions. The characters are very sketchily outlined, and although we see Dorian fall in love and embark upon an epic quest we don't really know much of Hawkmoons internal life. The question of Hawkmoons falling in love with the daughter of the ruler of Karmag, and his pledging allegiance to the nation feels very much in the vein of a fairytale allegory of political allegiances. The Nation as female - we can think of Marianne of the French Republic, Britannia of Great Britain, Helvetia of Switzerland or countless other examples. The female relegated to a position of passivity, a prize to be fought over and won, a symbol equated with nation-state, rather than as a self-motivated individual, almost Arthurian in its romantic conservatism, the characters becoming near-allegorical symbols with little . The big-bad-end-guy is the immortal King-Emperor Huon, an immortal being, entrapped in his Globe Throne, served by bickering political factions. Huon is eventually usurped by his second in command, a revolution that Hawkmoon uses to finally defeat his enemy despite serious losses of friends. 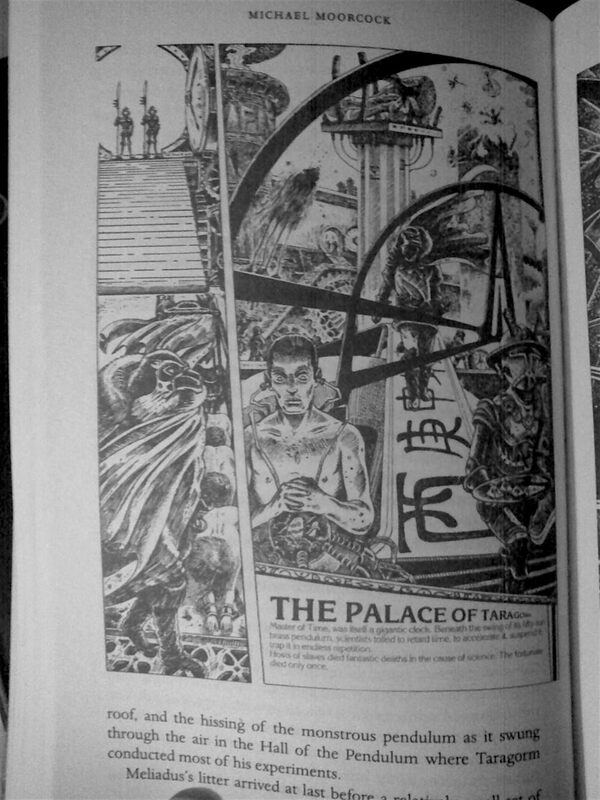 The edition I have contains some panels from the collaboration / adaptation with Jim Cawthorn on the Hawkmoon books. Jims work is stunning. I'm sure that if Cawthorn had led my introduction to Hawkmoon through the comics first, I'd feel much more positively about it. Also the physical format of the collected book. The combined volume feels like one of those door-stop blocks of fantasy epic, and it doesn't really do Hawkmoons lightweight characterisation and gung-ho satire world justice. With the original four slim paperbacks, the episodic and pulpy nature somewhat spelled out by the material presence of the book. 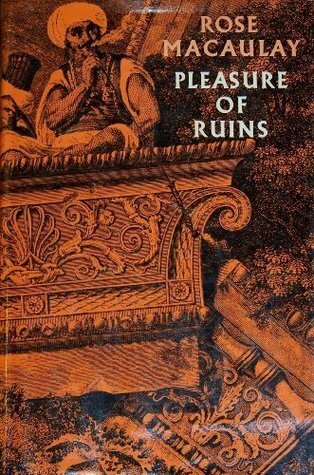 I might slice up my Elric of Melinboné before embarking upon re-reading it to see if there is any merit in this consideration. 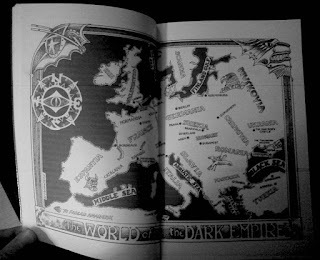 The second edition of Warhammer Fantasy Battle was dedicated to Moorcock, Tolkien and Phil Barker. The influence of Moorcock in early Warhammer is everywhere, from incidental art clearly depicting Elric to the eternal struggle of Chaos and Law and back again. 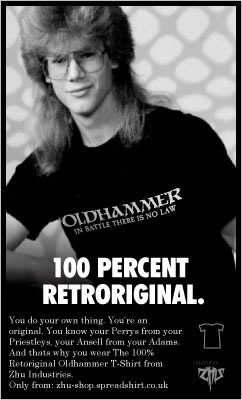 There are specific motifs that stem from the Hawkmoonian milleu - the use of real-world geographical cues being a fundamental one, as are the punning references to contemporary pop-culture and political figures, which abound in early Warhammer. The entire 'expected to be good guys are actually bad guys' trope of the Empire in 40k reflected in Gran Bretan except Moorcock has the decency to have actual good guys who fight oppression, so the whole universe doesn't descend into the hate-thy-neighbour fascist philosophy like 40k does. The story of the King-Emperor being usurped by his most powerful and at one point trusted warlord is one that resonates down to ancient times, but it's also clear precursor of The Horus Heresy. The thematic legions such as Meliadus' Order of the Wolf are echoed in the Space Wolf Chapter of the Space Marines. The insane gothic splendour of Londra reflected in a billion Imperial buildings. 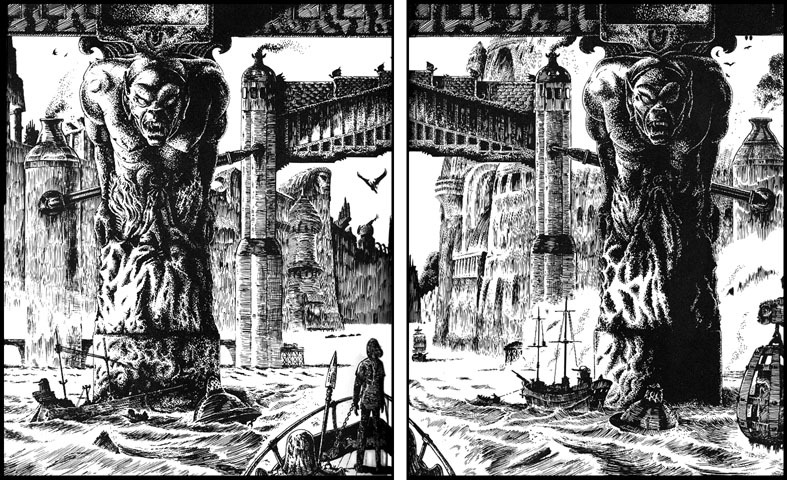 The battle as depicted in The Runestaff feels very wargamey, the narrator often taking a high vantage point as the battle spills out across the docks of Londra and to the Palace of Huon, and even talks about weapons having minimum ranges, very gamey. The climactic fight through the streets is quite tense. 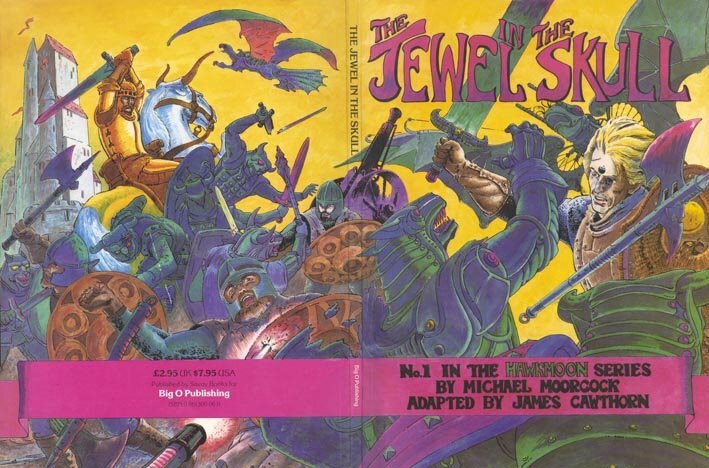 The Siege of Kamarg (in Jewel in the Skull IIRC) also features ornithopters (which appear in 40K:RT) which fly over great energy heavy-weapons mounted on castle towers that burn great swathes through massed troops. This mixture of medieval fantasy and lost high technologies permeates throughout. 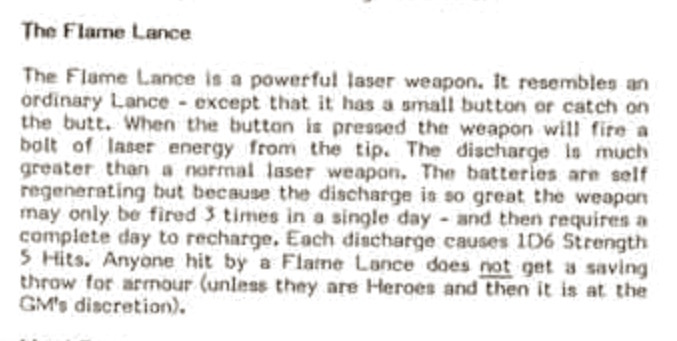 The First Citadel Compendium (1983) gives stats for The Flame Lance - an energy weapon that appears in History of the Runestaff, wielded by the goodly legions of Kamarg under the command of the mighty Count Brass. The firing, discharge and re-energising cycle is pretty spot on for the Flame Lance of Hawkmoon. It isn't quite a laser weapon - having features of both laser and fire weapon, but it's a reasonable write up that hews closely to the text. 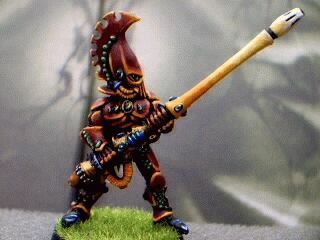 People often talk about Moorcocks influence on Warhammer in a vague or loose sense, but this is a straight-forward adaptation, showing I think the impact and importance of Moorcocks works and Warhammer being specifically designed to gamify those stories. Flamelance: SR: 12" LR: 30" 1D6 S6 hits. 3 turns to reload. The elongated flame weapon concept would continue into 40ks Eldar energy weapon / polearm hybrid weapons - notably the Fire Pike of the Fire Dragon Exarch, Flame-Lance, Fire-Pike. 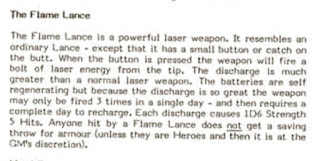 It's slightly more powerful than both the 1st Edition Warhammer and 2nd Edition versions above, and if the 3 shots a day limit were re-instated, this would make a good statline for the Flame Lance. So what of the other artefacts from Hawkmoons plane of the multiverse? The warriors summoned by the Sword of the Dawn carry Spears and Shields, and have a standard human profile. However, when defeated in combat, a new Warrior of the Dawn appears next turn, within 12" of the bearer of the Sword of the Dawn, to a maximum of 3 regenerations. 1-2. The jewel remains inactive. No effect. 4. Black-out. The victim may do nothing for 1d6 turns. 5. Complete mind control. The opposing player may decide actions of the character. 6. Full activation. The victim is dead. Possession of the Runestaff will nullify the effects of the Jewel in the Skull. Funny, that whilst I'd consider these the weakest of Moorcocks stories I've read, the idea of gaming some of the conflicts using the characters and armaments seems really quite appealing. Spider-friends - roll for initiative! Episode 11 of Spiderman and his Amazing Friends, Knights & Demons features Spider-man, Firestar and Ice Man an cross-dimensional adventure featuring the Black Knight, the Evil Wizard Mordred, demons, Stonehenge, a magical talisman, a dimensional sword and a castle built on a volcano. 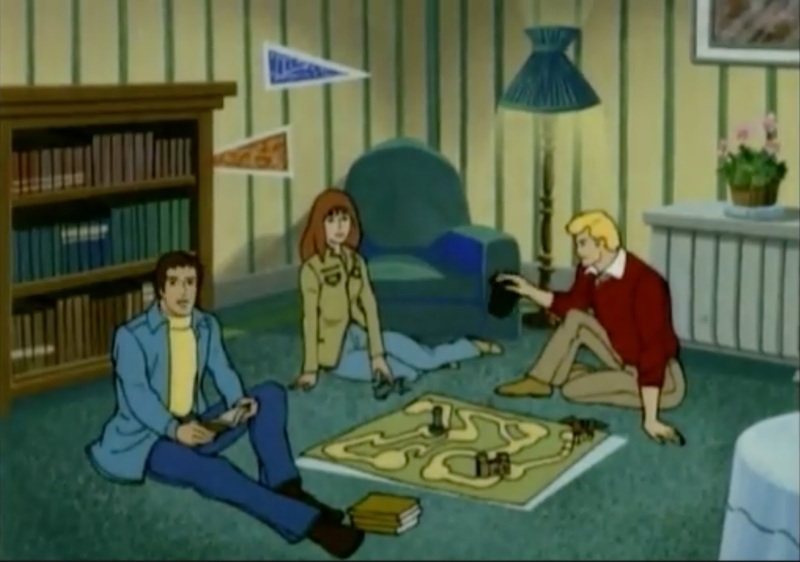 That would be more than enough to blog about, but right at the end, after the BBEG is defeated, Peter, Angelica and Bobby take a break from super heroics and sit down for what looks like an RPG session. 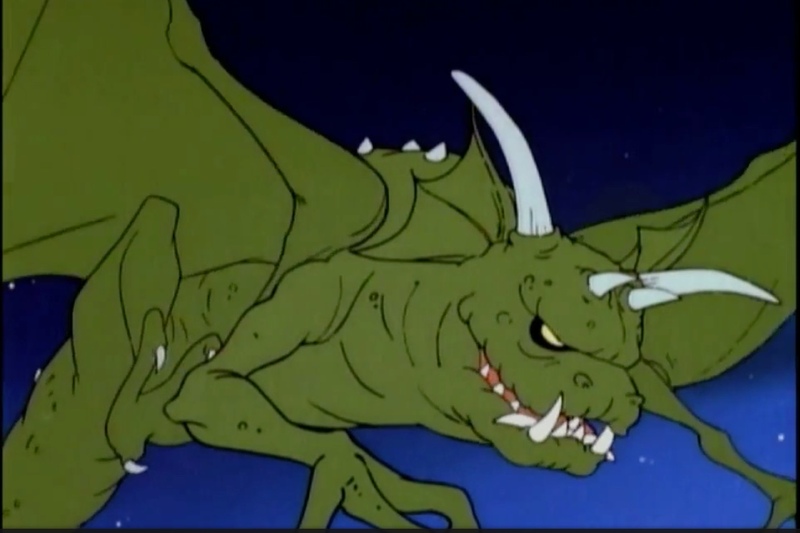 Angelica: You'll never defeat my mighty Dragon! Angelica: Oh Hi Aunt May. We were just playing this new game Sorcery & Serpents. It's as close as we ever want to get to the real thing. Aunt May: The real thing? Oh my dears, you know all of that is just a... what did you call it Bobby? Phoney baloney. Booby: Er.. did I say that? I guess I did! Sorcery & Serpents - with it's alliterative initials is undoubtedly a reference to TSRs Dungeons & Dragons, but what kind of game is it they are actually playing? There is a large battle-mat that has a tower and a castle. It's kind of similar to a DFC Fantasy Playset . 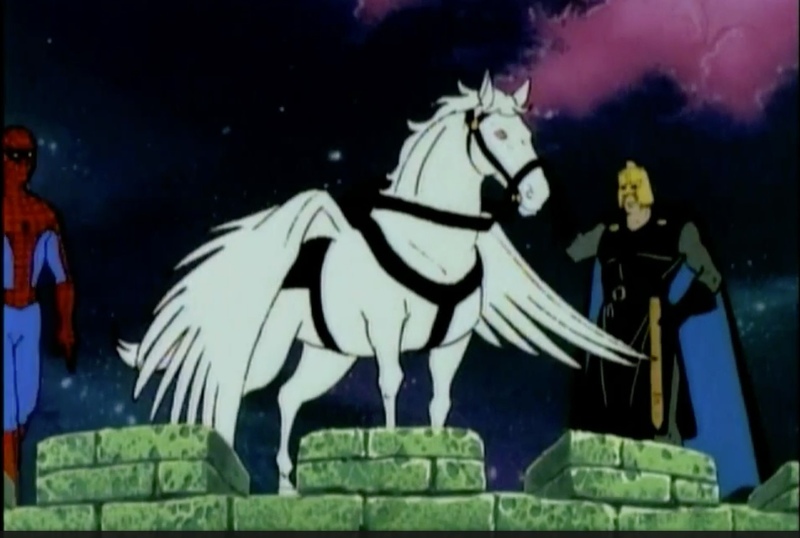 Angelica does something that looks like rolling dice, and has a Dragon, whilst Bobby appears to have a Pegasus figure. Whether Peter Parker is actually playing the game is a question for debate. Peter might be looking up a rule in one of the 4 books (yes, a multi-book game, sure sign of 80's RPGs) required to play the game, or he could just be studying. Peter studies a lot, in one episode he's even seen studying in an amusement arcade. Seeing that the year of broadcast is 1981 and Angelica describes it as a 'new' game, the whole set-up may be a reference to Moldvay which was published at the time. Alternatively the brown covers and digest size of the books that Peter is reading suggests they may well be the little brown books of OD&D and a supplement. Maybe Greyhawk. Either way, if we take it he's got the rulebooks, and not swotting, he's DMing. The other main features correspond with some kind of fantasy toy soldiers skirmish miniatures game, or D&D played in that style, rather than a few funny dice and some pencils and paper style. A Dragon and the Pegasus-knight aren't low-level creatures, so we can suppose they've jumped straight in to munchkin powergaming, or a mythic-level swords and sorcery campaign, bypassing the whole getting killed in a dungeon by a pit-trap because you ran out of torches and forgot a 10ft pole kind of thing. Superheroes eh? Angelicas wingless 'dragon' figure is similar to the character Darkon a gargoyle-dragon-demon that appears in the cartoon, but without wings. I don't recognise the creature as a D&D reference, so perhaps it's just a generic dragon monster thing. None of the creatures or character designs in the episode appear to be particularly borrowed from D&D, but hardly a million miles away either, so lets have a look, and see if we can get some ideas for what a Sorcery & Serpents campaign might look like! Darkon, a blue-fire breathing dragon, really just a standard Dragon monster. Cool horns. An uncanny bright red, two headed snake. 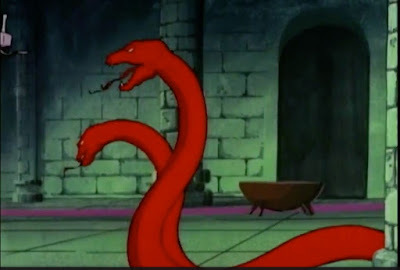 Well it can't be Sorcery & Serpents without any serpents can it? The evil magician Mordred then casts "Snakes into Chains" on it, and captures the Black Knight. Giant Snake - Constrictor. Just observe the atmospheric dungeon architecture there - actually all the backgrounds are really classic old-school fantasy dungeon stuff. 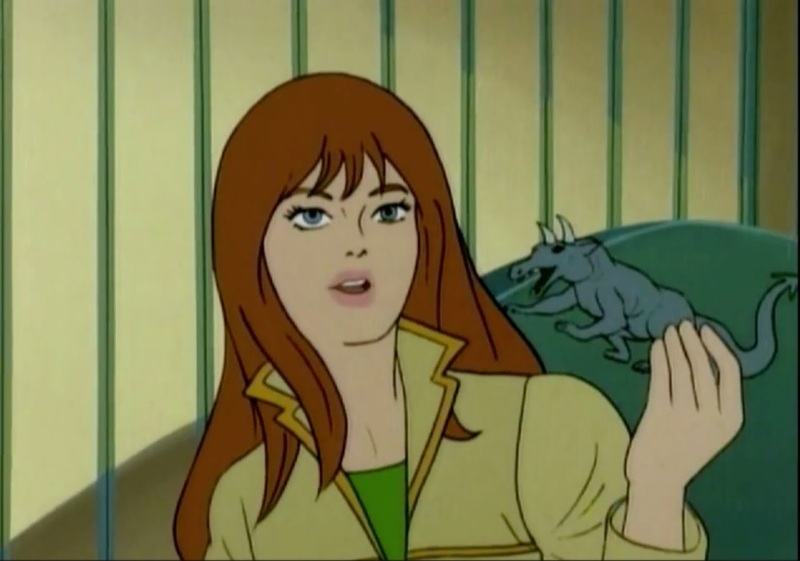 The green stone castle predating He-Mans Castle Greyskull by a couple of years, coincidentally or not, the writer on this episode of Spider-Man and his Amazing Friends, Donald F. Glut, is acknowledged as being the originator of the original Masters of the Universe background. I don't ascribe too much significance, as a writer for hire Donald Glut contributed to a heck of a lot. 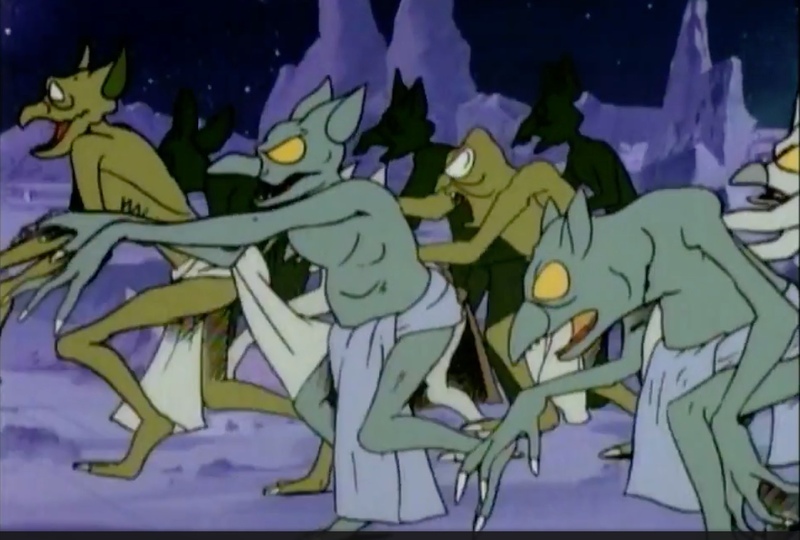 The demons who plague the nether dimension where the Evil Wizard Mordred is kept, short, gangly creatures vaguely reminiscent of goblins or kobolds or one of the many lesser demonic imp types from the Fiend Folio. 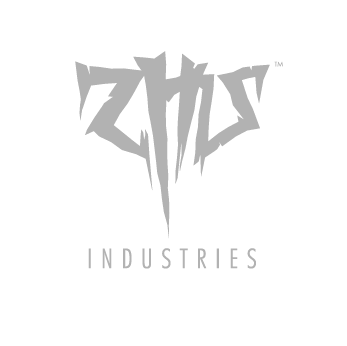 They do behave as a horde creatures, and don't really do anything. So stat as Kobolds, lots of them. 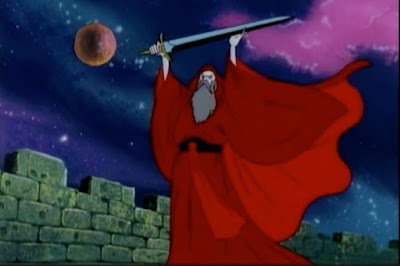 The classic Evil Wizard Mordred, captures the Ebon Blade, capable of ripping the fabrik of the dimensions. Fortunately Mordred casts few spells during the adventure, so we have the beginnings of a Magic section for Serpents & Sorcery. Reverse Elemental Power - Firestars powers turn to ice in one dungeon room. His main weakness is a talisman that banishes him to the nether dimension and keeps him trapped there. ... it's a trap! The Nymphs true forms are revolting ape-like creatures, reminiscent of the Cryonax from the Fiend Folio, although not as powerful. 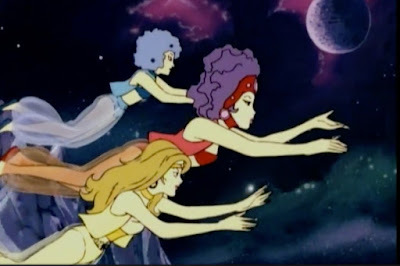 They seem attracted to Iceman, which is appropriate as the Cryonix likes the cold, so perhaps these are the tricksy young female of the species. They don't seem particularly strong or bright, but are able to cast Charm person, and Shape-change. Pegasus. It's a flying horse. 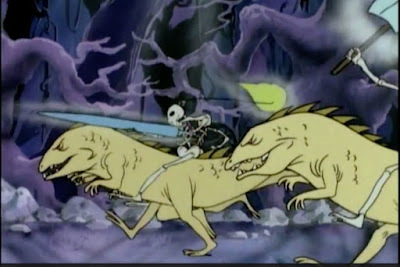 And last but not least, we have Skeleton Warriors riding Giant Lizards. Yeah! How cool is that? We're in real gonzo funhouse dungeon territory. Probably best to just stat these as Skeleton Warriors, mounted on Giant Lizards and work out the how and whys of the Necrosaur™ alliance later. They are armed with ice lances, flaming projectiles and axes. 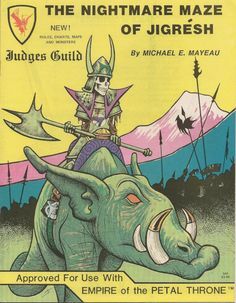 It is almost straight off the Judges Guild Nightmare Maze of Jigrésh module for The Empire of the Petal Throne, which I've never read, but often admired the cover of. On a historical note, that Marvel Productions, who made Spiderman and his Amazing Friends would go on to make the Dungeons and Dragons cartoon in '83 - does make me wonder of Gary Gygax may have been persuaded in some way by the oblique reference and support for his game to go with Marvel. For some other fictional RPGs see: Oceans & Ogres in Octonauts and Mazes & Mutants in Teenage Mutant Ninja Turtles.